Cook herbs for 20 to 30 minutes. There is a great deal of variation in the time necessary to cook herbs. It depends mostly on the kind of herbs you're cooking. The average is 20 minutes. Diaphoretics are cooked for no more than 15 minutes. Aromatics only get steeped for 5 minutes. For tonic herbs, 40 to 50 minutes is appropriate. There is more on timing further on in this article. Don't lift up the lid, especially with aromatic herbs as the volatile oils can evaporate out of the mixture very easily. Drink it. If you find the taste disagreeable, then your tongue is working right. However, if you find the taste so unpalatable that you don't drink it, then you need to do something to make it more drinkable. We suggest watering it down a bit. This helps a great deal. Also, it seems that after time, the body begins to crave a certain formula, especially one that is well suited. The taste will become more and more attractive. Some people add a little honey to sweeten it. This should only be done with the consent of your herbalist. Honey can adversely affect the therapeutic qualities of the formula and so it should only be added when appropriate. Herbs cooked for periods shorter than 20 minutes. 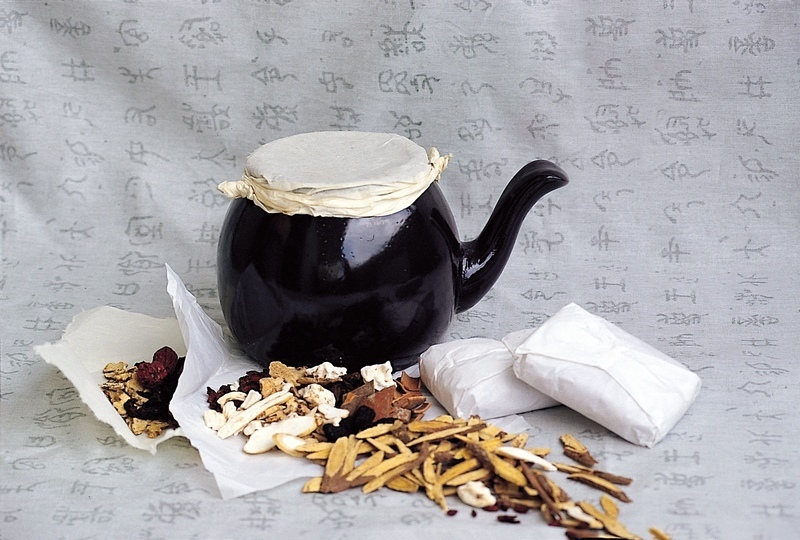 Aromatic herbs are often used to relieve the patient of what we, in the West, call the "common cold" and stuffed nose. Examples of aromatic herbs include Bo He (Peppermint) and Mu Xiang. These herbs contain volatile oils that come out very quickly, and evaporate out of the decoction if steeped too long. Hence, they should be cooked only for the last five minutes. Mixing herbs with Western pharmaceuticals is not something we can comment on without knowing the specifics of what you're taking and why. It is a personal choice. Generally, it never hurts to get everybody's opinion including your M.D. and your herbalist to better decide which therapies to mix, and which not to mix.